Here's what's new at McFarland this month in the film and TV world. You'll notice there's a book by a *familiar* author from this blog too! But that's not all, there's a new book from an authority in the field of television reference, Vincent Terrace, and a new biography of Dr. Victor Bergman himself, the great Barry Morse. The 1930s are routinely considered sound film’s greatest comedy era. Though this golden age encompassed various genres of laughter, clown comedy is the most basic type. This work examines the Depression decade’s most popular type of comedy—the clown, or personality comedian. Focusing upon the Depression era, the study filters its analysis through twelve memorable pictures. Each merits an individual chapter, in which it is critiqued. The films are deemed microcosmic representatives of the comic world and discussed in this context.While some of the comedians in this text have generated a great deal of previous analysis, funnymen like Joe E. Brown and Eddie Cantor are all but forgotten. Nevertheless, they were comedy legends in their time, and their legacy, as showcased in these movies, merits rediscovery by today’s connoisseur of comedy. Even this book’s more familiar figures, such as Charlie Chaplin and the Marx Brothers, are often simply relegated to being recognizable pop culture icons whose work has been neglected in recent years. 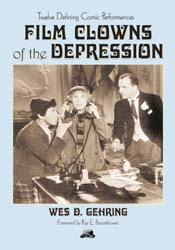 This book attempts to address these oversights and to re-expose the brilliance and ingenuity with which the screen clowns contributed a comic resiliency that was desperately needed during the Depression and can still be greatly appreciated today. The films discussed are City Lights (1931, Chaplin), The Kid From Spain (1932, Cantor), She Done Him Wrong (1933, Mae West), Duck Soup (1933, Marx Brothers), Sons of the Desert (1933, Laurel and Hardy), Judge Priest (1934, Will Rogers), It’s a Gift (1934, W.C. Fields), Alibi Ike (1935, Brown), A Night at the Opera (1935, Marx Brothers), Modern Times (1936, Chaplin), Way Out West (1937, Laurel and Hardy), and The Cat and the Canary (1939, Bob Hope). This comprehensive guide covers all of the music used in Woody Allen’s films from Take the Money and Run (1969) to Match Point (2005). 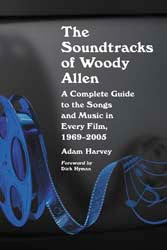 Each film receives scene-by-scene analysis with a focus on how Allen utilized music. His resume of roles includes Macbeth, Cyrano de Bergerac, Ebenezer Scrooge and Oedipus Rex. His career has encompassed theatre and television in England, Canada and the United States. 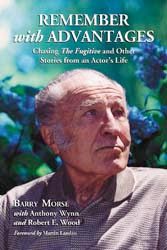 With a gift for developing offbeat characters, Barry Morse has had a prolific acting career, and the story of his life is a veritable history of 20th century theatre from the days before World War II through the early 21st century.In this memoir Morse traces his life and career, including his years at the Royal Academy of Dramatic Art, his radio jobs with the BBC, his 60-year marriage to actress Sydney Sturgess and their years together in the Court Players, his roles on television shows (The Fugitive, Space: 1999), and his acquaintance with literary lights (George Bernard Shaw) and screen stars (Robert Mitchum and Peter Cushing). Photographs from the Morse family collection are included. John Kenneth Muir is back! His Horror Films of the 1970s was named an Outstanding Reference Book by the American Library Association, and likewise a Booklist Editors’ Choice. This time, Muir surveys 300 films from the 1980s. From backwards psychos (Just Before Dawn) and yuppie-baiting giant rats (Of Unknown Origin), to horror franchises like Friday the 13th and Hellraiser, as well as nearly forgotten obscurities such as The Children and The Boogens, Muir is our informative guide through 10 macabre years of silver screen terrors.Muir introduces the scope of the decade’s horrors, and offers a history drawing parallels between current events and the nightmares unfolding on cinema screens. Each of the 300 films is discussed with detailed credits, a brief synopsis, a critical commentary, and where applicable, notes on the film’s legacy beyond the 80s. 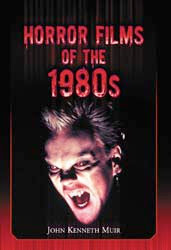 Also included is the author’s ranking of the 15 best horror films of the 80s. At the 1939 World’s Fair and the Canadian National Exhibition (CNE), RCA introduced and promoted a novelty known as television. Two decades later, this technology was well on its way to permeating virtually every home in America and Canada as well, spawning a growing, thriving industry in the process. Canada’s two official languages (English and French), easy transborder reception of U.S. broadcast television stations, and an overall television market approximately one tenth the size of the United States historically impeded the growth of Canada’s television production sector. This situation led Canadian producers, directors, writers, performers, and other creative and technical personnel to increasingly turn their eyes—and their talent—to the international market. Canadians who had played a significant role in America’s entertainment industry since the silent era, turned to their southern neighbor as the most natural market for their creative endeavors. With a mix of practicality, adaptability and entertainment ingenuity, Canadians became responsible for an ever-increasing percentage of American television productions.This volume traces the history of Canadian involvement in America’s television production industry and looks at the genres, time slots and viewing areas of the first Canadian television productions to appear on U.S. airwaves as well as the challenges that producers had to overcome to take their programming into American prime time. 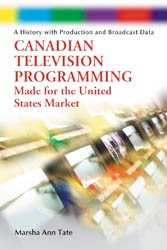 The book also discusses the reasons Canadian television producers have turned to a foreign market over their domestic one. The main focus, however, is the factors which led to an independent television production sector in Toronto, Ontario, and the Ontario–based companies that have successfully competed in the U.S. marketplace. Alliance Atlantis Communications is given particular attention as one of Ontario’s most successful production companies. Economic and political influences as well as current and future prospects of independent production companies are discussed. 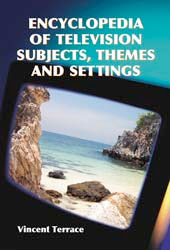 Appendices provide a chronology of Canadian television production from 1926 to 2004 and a list of Canadian–produced programs sold to the U.S. market. A list of acronyms and abbreviations and an index are also included. Revised and updated since its first publication in 1990, this acclaimed critical survey covers the classic chillers produced by Universal Studios during the Golden Age of Hollywood Horror, 1931 through 1946.Trekking boldly through haunts and horrors from The Frankenstein Monster, The Wolf Man, Count Dracula, and The Invisible Man, to The Mummy, Paula the Ape Woman, The Creeper, and The Inner Sanctum, the authors offer a definitive study of the 86 films produced during this era and present a general overview of the period. Coverage of the films includes complete cast lists, credits, storyline, behind-the-scenes information, production history, critical analysis, and commentary from the cast and crew (much of it drawn from interviews by Tom Weaver, whom USA Today calls “the king of the monster hunters”). Unique to this edition are a new selection of photographs and poster reproductions and an appendix listing additional films of interest. On September 26, 1968, Hawaii Five-O premiered on CBS. The show’s exotic locale and quality writing and acting made it a fixture in the network’s line-up for the next 12 years. Today the detective series continues to be very popular in syndication.The show’s history is covered first, focusing on its development and its stars. 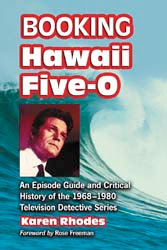 Complete casts and credits for all regulars are provided for each season; the episode guide gives the title, original air date, director, producer, guest stars, a detailed synopsis of each show, and information on Honolulu residents who appeared in it. 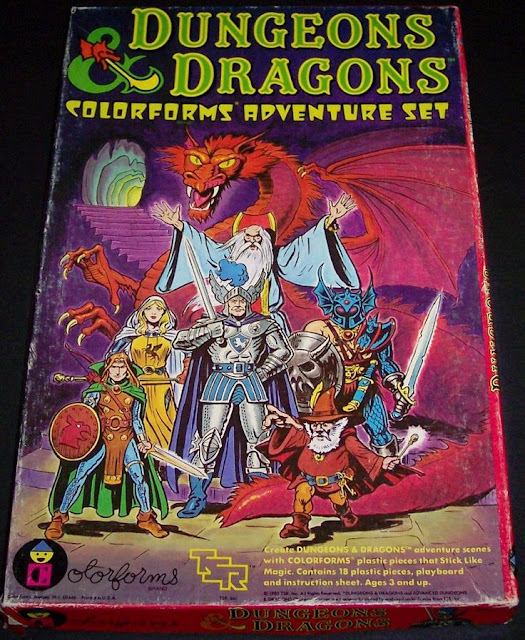 RETRO TOY FLASHBACK # 58: Costumes! The House Between Episode # 5 Preview: "Mirrored"